This class was developed for those who want to learn new skills or brush up on the essentials. A fantastic class for beginners. Basic principles of cutting and piecing for the beginner to learn and for more experienced quilters to review, perhaps picking up some new or alternative methods for that finer “more professional” finished look. 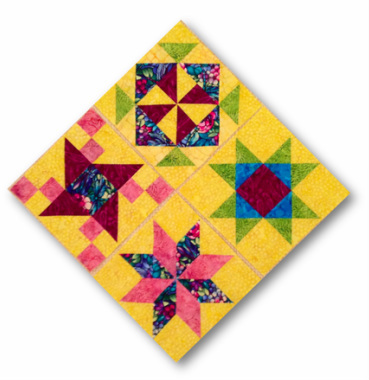 This class will cover maintaining an accurate ¼ inch seam, curved piecing, set in seams and accurate half-square and quarter square triangles, flying geese and strip quilting. Rotary cutting techniques using angles on Quilter’s Rulers including creating a La Moyne Star.